The community comes together around football. "It's not simply a field," says a local"but a field of dreams to inspire our children." Football has brought them closer, carrying with it the lesson that when they work together, Barrow can be an ideal place for anything. A high school in Barrow, Alaska, a town 800 miles north of Anchorage fights frigid weather, high drop out rates, and substance abuse to create a football team that unites the community and the athletes in a mission to improve their town. The sporting landscape is filled with amazing examples of small town dreamers who used sports as a means to rise above the world. In these stories, come see how these remarkable teams and athletes, bouyed by the support of their families and community, overcome, unite, and give hope to those who doubt! 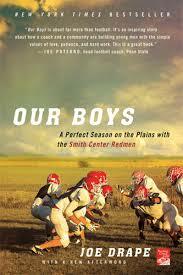 Chronicles the successes of Smith Center High School's football team--the Redmen--describing the winning streak leading the team into the 2008 season, and details the roles and worries of the coach, players, and community about maintaining perfection. Follows the 1988 season of the Permian Panthers, a high school football team in Odessa, Texas, exploring the lives of the players and the impact of the championship team on the small town. 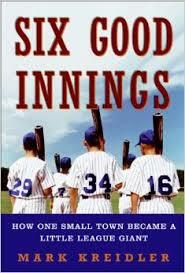 Details the relationship between Toms River, New Jersey, and their championship Little League team, who in the 1990s won three out of five seasons, and describes how the coach, John Puleo works to balance the team's ambition with the players' budding adolescence.